Gregory Marsh, a New Jersey native, started playing the clarinet when he was nine years old. He developed an instant passion for the instrument, and has been performing ever since, placing a strong emphasis on orchestral, wind band, and chamber music. He is currently the adjunct professor of woodwinds at Rowan College at Burlington County in Mount Laurel, NJ. In addition to his teaching duties at RCBC, he also maintains a private woodwind studio at the Music and Arts music store in Lawrenceville, NJ. Mr. Marsh performs regularly with the Exit 4 Woodwind Quintet, On the Count of Three…Trio, Trio con Legno, the Garden State Symphonic Band, and has been the concertmaster for the Eastern Wind Symphony since 2011. He is also a member of the Northern and Central New Jersey Musicians’ Union, AFM Local 16-248. Under the tutelage of Steven Barta, he obtained a Master’s of Music Degree in Clarinet Performance from The Peabody Institute of Music in 2009. While at Peabody, Mr. Marsh established himself as a principal player in the Wind Ensemble and Concert Orchestra, and also performed with the Symphony Orchestra and several chamber ensembles. Upon graduation, he was awarded the Grace Clagett Ranney Prize in Chamber Music and the Sidney Jensen Memorial Prize in Clarinet Performance. Prior to his time at Peabody, Mr. Marsh received his Bachelor’s of Music Degree in Music Education from The College of New Jersey in 2007, studying with Roger W. McKinney. 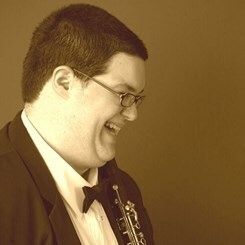 Throughout his undergraduate education, he was awarded the Hy Frank Memorial Music Scholarship for being “a well-rounded musician.” In April of 2006, Mr. Marsh performed the Mozart Clarinet Concerto with the TCNJ Symphony Orchestra as the winner of the 2005-2006 TCNJ Concerto Competition. During that same year, he was inducted into the Pi Kappa Lambda National Music Honor Society. When Greg is not busy teaching, practicing, or performing, he likes spending time with friends and family, cooking, going to the Jersey Shore, taking in a concert or two, and rooting for Philadelphia sports teams.